Located in Hartford's southend, Airport Auto Body is family owned and operated. We have been in business at this location since 1983. We strive to provide quality workmanship and customer satisfaction in a professional, working environment. Looking for an auto body collision repair shop after dealing with a stressful situation like an accident can be difficult. 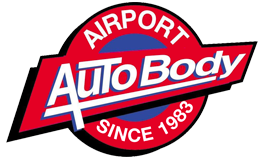 At Airport Auto Body, we understand the process it takes to get your car back on the road. Let our experience work for you. Our goal is to make the repair process as easy as possible for you. Quality Repairs Are Guaranteed By Our Lifetime Warranty. Fast Repair Times To Get You Back On The Road. Vehicle pickup and drop off available.